Meet the three latest Gourmet Getaways. They are dining spots so delicious, they are worth the out-of-town trip. You can explore these food-centric destinations anytime of year with luscious results, but the crisp autumn air is just made for culinary explorations. 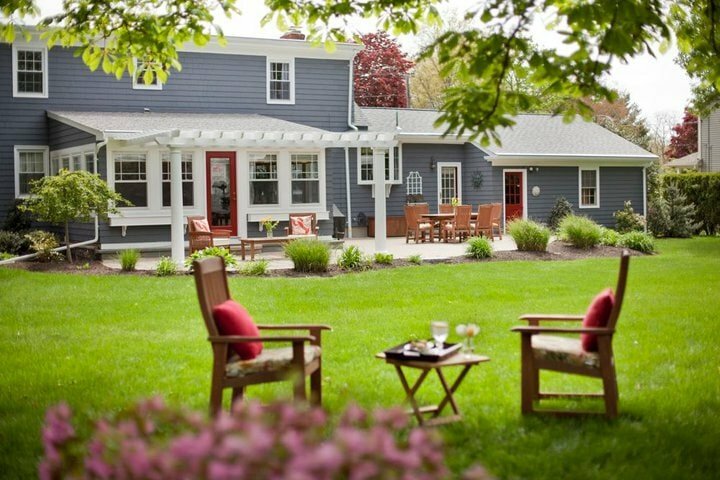 Bring your cool weather appetite to rural Rhinebeck, urban New Haven or coastal Rhode Island. Locavore satisfaction is guaranteed and no car is needed. All three communities are gearing up for restaurant week in November. The Hudson Valley, New Haven and Newport-Bristol will be offering hungry visitors a smattering of the area’s edible offerings, with discounted prices on select menus at certain area eateries. 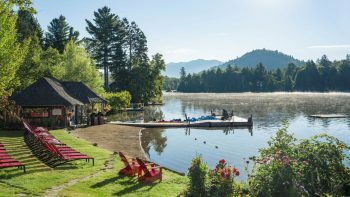 Not all of our Gourmet Getaway restaurants are participating, but the mood in these parts is sure to be food-infused and loaded with like-minded gourmets prowling for their next delectable morsel. Rhinebeck may be a small town, but it’s in the same culinary league as the big boys. Day-trippers may come for the bucolic Hudson River landscape, but the active food scene brings them back for second helpings. 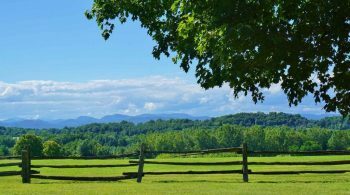 Nestled in the Northern Hudson Valley, its tree-lined streets are surrounded by fertile farms whose products are a springboard for creative local chefs. The famed Culinary Institute of America is just down the road. Many of its talented graduates never leave the area, electing to work in local kitchens and eventually open their own restaurants. 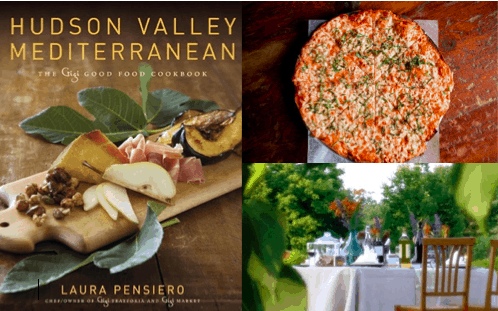 Laura Pensiero is a pioneering force in the Hudson Valley food world. 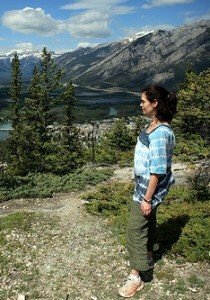 She is a vocal proponent of local agriculture and practices what she preaches. She opened Gigi Trattoria in 2001 with a firm commitment to sourcing ingredients from within the neighboring farming, ranching and artisan community. Today, her expanding mini-empire includes Gigi Market and Gigi Catering. Pensiero is a nutritionist too, and she works on the theory that eating seasonal and local is the backbone of good health. At Gigi Trattoria, one bite proves that Pensiero’s premise is salubrious and delicious. The cuisine is “Hudson Valley Mediterranean,” leaving plenty of room for interpretation. Limber your palate with a salad made from baby greens or arugula from Sky Farm in nearby Millerton. The leaves are so fresh they need nothing but a squeeze of lemon and a dash of Gigi extra-virgin olive oil, but they are equally delicious as a foundation to a more complicated arrangement of jewel-like beets, string beans and a dab of local Coach Farm goat cheese. You can’t eat at Gigi Trattoria and not try a Skizza. This house specialty is a crisp flatbread topped with a variety of fresh ingredients. The Margherita most closely resembles a traditional pizza, with its tomato, basil, oregano and mozzarella topping. To truly taste the terroir, try the Skizza Bianca. It’s garnished with Coach Farm goat cheese, fig jam, pear, Sky Farm arugula and a dash of truffle oil. If you have a carnivore craving, the burger is a standout, thanks to Meiller Farms grass-fed ground beef topped with Smokehouse nitrate-free bacon and local cheddar, served on a Gigi-made brioche bun. Condiments include tomato jam and house-made bread and butter pickles. Homemade pastas and a whopping 32-ounce rib-eye steak for two are other fine choices. Vegetarians should be thoroughly satiated designing a meal around two or three side dishes. Perhaps a combo plate of roasted seasonal veggies, braised white beans and maple pumpkin polenta? Where to Stay: History buffs can book a room at the Beekman Arms, America’s oldest operating inn. If a nightcap is your favorite sleep inducer, a decanter of sherry sits bedside in each of the 23 rooms. The Sunday brunch is beyond decadent. How to get here: Rhinebeck is less than a two-hour train journey from New York City. From Penn Station, Amtrak will take you to Rhinecliff, a small town just outside of Rhinebeck. From Grand Central, Metro-North will take you to Poughkeepsie, where you can cab it to Rhinebeck in 20 minutes. Since 1975, Claire’s has been a home away from home for generations of Yalies and a beloved institution for New Haven locals. Located diagonally across from the New Haven Green, stepping into Claire’s feels as cozy as your favorite flannel pajamas. 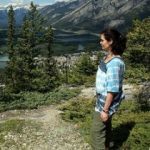 Owner and founder Claire Criscuolo’s genuine earth mother vibe is warm and soothing, nourishing your spirit from the moment you enter. The smell of simmering soup, fresh-from-the-oven bread and made-from-scratch desserts hit you before you are seated. Inclusive Claire aims to serve all corners of the population, so the menu is vegetarian, organic and kosher. There are scores of gluten free options and the helpful staff is happy to make substitutions that suit your dietary needs. The atmosphere is coffee shop casual, the prices low. You could (and some do) eat three wholesome meals a day here, but breakfast is the real deal, thanks to homemade granola and build-your-own smoothies. Mexican dishes are highlights, served with sides like organic refried pinto beans, house-made salsa and guacamole. Pasta and quiche varieties change daily, but are menu stalwarts. Everything is made with the freshest ingredients, including tomatoes, herbs and arugula from Claire’s own organic backyard garden. Desserts are ludicrously rich, with Lithuanian Coffee Cake leading the pack. 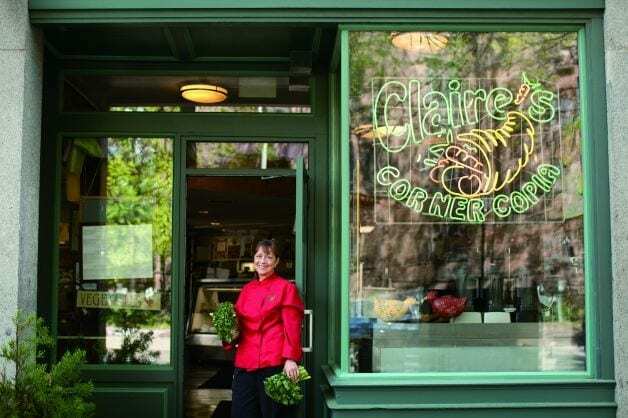 Long after they have left New Haven behind, many former students have this addictive, crumbly-topped delight shipped to all corners of the U.S. Claire is committed to incorporating sustainable practices into her business. Green initiatives include using compostable takeout containers made from corn, Energy Star lighting and using all-natural kitchen cleaners made in-house. 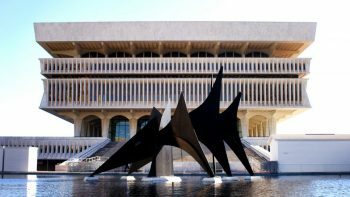 Where to Stay: New Haven is an easy day or overnight trip from NYC. The Study at Yale is conveniently situated on Chapel Street, right near Claire’s. It mixes luxury amenities with an academic flair. The lobby offers free popcorn, a communal Mac and excellent people watching, thanks to the long list of intellectual giants who choose to stay here. How to get here: Metro-North’s New Haven line from Grand Central to New Haven’s Union Station in about 100-minutes. Bristol is located between two of New England’s epicurean hot beds, Providence and Newport. Friendly competition seems to be a good thing in this pint-sized state, as Bristol is making a play for a spot on the dining scene podium. This adorable seaside community is home to a variety of eateries that specialize in the day’s fresh catch, but meat is the pièce de résistance at elegant Persimmon. The restaurant’s sister business, Persimmon Provisions, is a butcher shop located in neighboring Barrington. Responsibly raised meats from small-scale, sustainable farms are its mainstay, which are funneled into the kitchen at Persimmon. High quality, uncommon cuts of meat grace each night’s menu. The kitchen is helmed by three-time James Beard Foundation semi-finalist Champe Speidel. 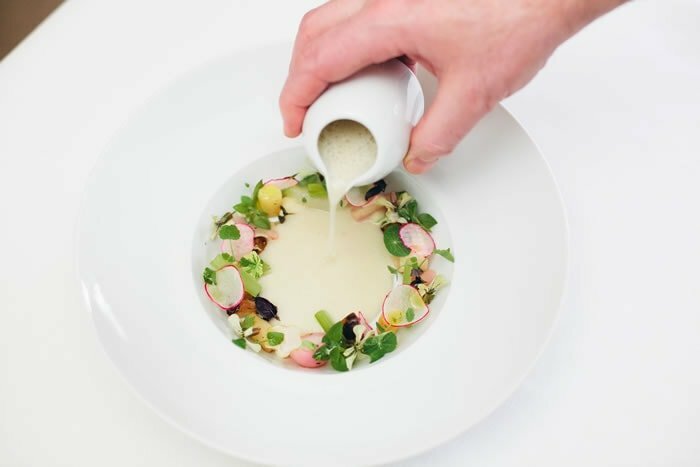 His ingredient-and-technique-driven cuisine is served in a modern setting with room for 38 diners. The menu changes according to season and availability, but Vermont lamb served three ways and New Hampshire pork loin should give you a clue as to what you may be feasting on. Just because they know their way around meat, don’t get the idea that seafood is treated as a stepchild. Native lobster and Atlantic halibut are so fresh they are positively briny, and the slow roasted octopus combines under-used ingredients like kohlrabi and Hungarian wax peppers in a mouth-watering way. For a vegetarian option, the hand-rolled gnocchi are so light they may as well levitate off the plate. Desserts tend towards show-stopping combinations of textures and flavors, such as a frozen peanut butter parfait with caramelized peanuts and fresh banana, drizzled with an intense chocolate sauce. The wine list offers good quality-to-price ratio, including several fine wines by the glass. If you can’t decide between white or red, go for the sweet spot in between with a versatile Provencal rosé from Commanderie de Peyrassol in the Var region. It is full-bodied enough to compliment many of the meat dishes, yet an agreeable match for shellfish. Persimmon is open only at dinner, closed Sunday and Monday in winter, Monday year-round. Where to stay: Book one of three appealing rooms at the Bristol House Bed & Breakfast (from $109). The innkeeper is a CIA-trained chef and her morning repast is a thing of beauty. Granola made with love, ethereal buttermilk biscuits and freshly baked sweet breads are served with a hot entrée and a big dose of her Southern hospitality. How to get here: See oM’s Providence Transportation Guide. Bristol is located a speedy 30 minute ride on the RIPTA number 60 bus from Providence, and it stops right at the Megabus drop-off. If you’re riding Amtrak into town, it is about a seven-minute walk to the bus stop.